Doctors are businesses in and of themselves. If any other company was run the way that some doctor’s offices are run, they’d be out of business. I’ve recently had need to see a medical specialist. It’s not that I love doctors and having to take time off of work to go to see them. Nor, do I love to take even more time off to go through the multitude of tests that they will inevitably put most of us through and then, more time to go back for the results, which usually leads to either a treatment plan or the statement, “we’ll see you in (blank amount of time) and keep an eye on things,” if everything turns out alright but, the problem is still there. What irks me most about this entire “specialist” process is that there are some that make getting ahold of the country’s president or prime minister easier to do than getting through to their offices and office staff. There have been a couple of specialist’s offices that do not answer their phones during the working day. You never get to speak to a human being. 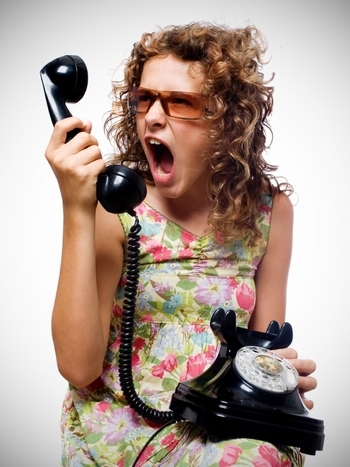 There is only voicemail to speak to and that, can be disarming and leave patients with insecurity. When a patient has a health issue that requires seeing a specialist, it’s usually not an insignificant problem. Some of them can be quite alarming or frightening. That means that when a patient has an ongoing issue and needs guidance, they should be able to get through to a real, live person and not a voicemail message which leaves you feeling uncertain, uneasy and unheard. Not only that but, it’s not always possible to continue calling back or, to receive a return call to discuss or answer their questions while at work or out amongst the public. Who wants to discuss their health issues and concerns while out in public or take a personal call during work hours when you’re not supposed to get personal calls during working hours? The last few months, I’ve had an ongoing set of issues that have been both troublesome and worrisome;. I was put on a treatment plan that came with side effects as well as the initial effects of the problem itself. Even the tests were invasive and caused a few days to a week to recover from. During these six or so months, I’ve had three occasions where I’ve needed either an answer or to book an appointment. All that I got on many tries at calling over two weeks, was their voicemail and only able to leave a message, telling them what I was calling about and leaving a number where I could be reached for a return call. Normally, that wouldn’t be as much of a problem, if, calls were returned within a reasonable amount of time. However, that’s not how this office works. Their voicemail clearly states that the receptionist is either “assisting a patient or away from her desk”. It then goes on to say that “if this is an emergency, please go to your local hospital”. Anyone been in a hospital ER lately? The usual wait time is anywhere from 4 to 14 hours to be seen. Not an option to just ask a question and certainly not what is needed for a non-urgent situation or, to simply make an appointment. You leave your message complete with details and a return number but, this now leaves you with at least a 24 to 48 hour window to expect a call back. Do you know where you’re going to be every moment of the next 24 to 48 hours? I don’t. I could be in the shower or, doing my grocery shopping, at work where I’m not supposed to be receiving personal calls unless it’s a dire emergency from a family member. I could be taking my dog out for his walk or I might, heaven forbid, be in the bathroom when that one call comes and I have to start that process all over again or, worst of all, you’re with others and you can’t ask the questions you need and want to ask. There are so many more scenarios that I think all of us can think of that cause us to start panicking over not only the original issue we called about but, how we can’t make ourselves totally available for 24 to 48 hours, making it totally unreasonable to expect. The last two times I’ve had to call that office, I was in somewhat of a panic over certain issues that arose during treatment. I really needed answers as to what was going on and whether or not I needed to be seen. I got the voicemail message as usual. I tried. I really did try to call several dozen times to see if I could catch the receptionist either at her desk or not assisting another patient. There wasn’t a time that it happened. As a matter of fact, I’ve been in that office and watched her. She’s been at her desk the entire 2 plus hours that I’ve been waiting and besides having to book another appointment for someone, her pretty little rear never left that chair nor, was she constantly with patients. She brooded and moaned about how busy she was to every patient that walked out from seeing the doctor but, she was there and often talked about her tea or the type of vacation she was going to take next. Chit-chat that took up time but, not time on that phone. The past couple of times that I’ve called, I’ve waited for over a week and not received a call back. That’s resulted in having to break the rules and leave yet, a second message (gasp). Two days after that again, I finally received a return call. Both were at totally inopportune times. Try giving your personal details and information while at a check-out that you cannot escape or, being at work with your manager by your desk, upset that you’re taking a personal call. Both have happened to me with this system. Again, it’s been two days without a return call and I’m concerned. I can’t get the answers anywhere else right now so, I’m stuck in this system, filled with worry and impatience. This time though, I’ve waited the 24 hours and called again, leaving a second message. They can get as ticked as they want to but, this is a service and a business and it’s my health. I have a right to not be held hostage by a little twirp, sitting behind a desk, worried about her coffee getting cold and chatting about her flight with the nurse or a patient who could give a damn about it and just wants out of the office to go on with her day as she’s already been there for 3 hours. Yes, I’d love to go to another specialist and drop this office’s rear end in the dust but, this isn’t the only doctor’s office that I’ve run into this problem with. Worst of all, most doctors especially specialists, are only in the office 3 or so days out of a week or, are not taking on new patients. It’s not easy to change without a 3 or 4 month wait for an appointment with them nor, to start all over again with someone new. I have run businesses and I work for one. I can tell you that if any of these companies were to operate the way that these doctor’s offices are run, they’d quickly be closing their doors. Why can doctors get away with this? They shouldn’t. It’s time to speak up when we find these types of situations. It is, afterall, our health. Without that, nothing else matters much, does it?